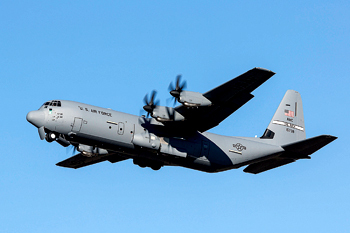 University of Petroleum and Energy Studies (UPES) is developing a payload prototype for military aircraft C-130J Super Hercules with the help of a research grant of $40,000 from Lockheed Martin. The payload will be used towards improved humanitarian aid support, disaster relief operations, medical evacuation and environmental/weather missions. The payload being developed by UPES will help in ensuring prompt response during extreme situations and saving initial response time which is usually spent in setting up working headquarters from where relief teams can operate in case of a disaster occurrence. Speaking about the development, Utpal Ghosh, CEO & President, UPES, said, “We are extremely proud of this achievement by our students, supported by our faculty members. This is a fitting testimony of the technical competencies developed by the students during the course of their studies, our focus on R&D and industry-academia interface”. Currently, in relief operations during disaster situations facilities like water purification system, sanitation facilities, electricity and powerhouse, etc., are set up separately, which eats up significant amount of crucial ‘golden hours,’ i.e. first 72 hours after a disaster occurrence. The payload being developed by UPES team will help in saving considerable set-up time when every second counts. Dr Kamal Bansal, Dean, College of Engineering Studies (CoES) at UPES explains, “In disaster situations and during relief operations a lot of initial response time is spent in setting up working headquarters from where relief teams can operate. Our winning payload structure and its internal architecture has been developed to reduce initial response time as much as possible, technologically. We aim to finish this project by next year and look forward to developing ideal headquarters for large-scale relief operations”. The team developing the prototype is backed by technology giants Lockheed Martin, Tata Advanced Systems, DRDO, IAF officials and NDRF. This is also being developed keeping in mind the in-depth understanding of ground-zero realities to make it suitable for scenarios like airdrop and long storage period. Additionally, UPES students have been part of Indian and global missions and competitions in the past. 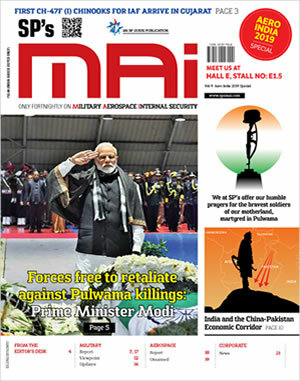 Smiti Maini, a student of 2006-10 aerospace engineering batch at UPES, was part of mission control team for the launch of India’s Mars Orbiter Mission (MOM) in November 2013 and Mars Orbit Insertion in September 2014. She worked on spacecraft control systems design, analysis and simulation, and also designed the thruster failure detection, isolation and reconfiguration (TFDIR) for autonomous functioning of the spacecraft.